The Man Diet Meal Plans are designed SPECIFICALLY for your weight, or the weight you want to ideally weigh in at. People THRIVE off of routine. It’s when our routines help us improve, be it in health, business, or simply quality if life, that we take our greatest strides in becoming the men we can potentially become. Without routine our fate is at the hands of the moment. Our will is tested and defeated far more often when we don’t specifically know what we should be doing at a given moment, and this is something that I resisted for a LONG TIME when it came to my diet. With the Man Diet we give you “feeding blocks” where you’re shown what foods groups to eat and which ones to avoid. This allows for a lot of freedom, which can be a great thing. It gives us a lot of options, which has helps hundreds of guys build their ideal bodies. But, even though something can be good, that doesn’t mean it can’t be GREAT. I’d oblige, provide examples, and then they’d create their own blocks based on the foods they can eat. It worked. But there was room for improvement. Seeing myself, the creator of the Man Diet, start to slip, gain a bit of fat, and degrade physically all because of diet, I knew that I need a routine for my diet. I needed to have something written down. I need meal plans to show me what to buy at the grocery store, to eat for my first meal, my second meal, my post workout meal, and my post workout shake to fit my goals, my weight, and my body. I Needed Meal Plans Fit For a Man, a Guy Not Versed in the Intricacies of the Kitchen. Meal Plans That Helped Me Build an Optimal Body, But One’s That Taste Great Too. In creating the Man Diet Meal Plans, I print them out, walk downstairs to my kitchen, look at what’s on the menu for meal 1, and make it. No energy wasted on decision making. Just make what’s on the meal plan for the weight I’m at, or the weight I want to be. The meal plans are structured around your weight, or the weight you ideally want to be, giving you the EXACT proteins, fats, and carbs you need to produce optimal results. You also get the right foods at the right time to optimally boost your testosterone levels, to recover faster from your workouts, to stop the protein breakdown that occurs during training, and to lose a lot more fat WITHOUT losing muscle. It took a week for me to really see results, but following these meal plans have brought me back on track in a BIG WAY! I can’t wait to see how they help you. Most supplements are unnecessary. Some, though, will help you become 5% better, maybe even a bit more. These meal plans are for those guys who want to be 5, 10, 15% better. So I show you when to have what supplements to get the MOST bang for your buck from each, while also producing optimal results. There is no “waste” in these meal plans. The name of the game is efficiency. With the Man Diet you’re building your optimal, efficient body. These are the perfect extension to that mission. I workout 2 hours after I eat. I eat 4 hours after I wake up. The meal plans are structured so that you plug in your meal where it best fits with the macros that will help you get stronger, healthier, and with higher testosterone levels. This is stuff you may know already, but the meal plans allow you to simply look at a sheet of paper on your fridge or a document in your phone and whip up the perfect meal that will do your body good. So How Do They Make You More Manly? But we do start each day off with a Testosterone Meal. That is, a meal filled with monounsaturated, polyunsaturated, and saturated fats that will enhance your 4am-6am "testosterone surge". The meal plans, though, aren't one size fits all. I'm 190 lbs, and I want to stay at 190 lbs, drop some fat, and gain some muscle. So I eat exactly what's in the 185-195 pound meal plan. You, however may weight 195 pounds and you want to get down to 165 pounds. All you do is choose the meal plan grouping that's 10 pounds LIGHTER than you are, get there, then drop your meal plan by another ten pounds. If you want to gain, you do the opposite. Man Diet Meal Plans. For Those Of Us Who Want To Shut Our Brains Off And EAT! Know exactly what to eat and when to eat it without having to search through a manual to find it. 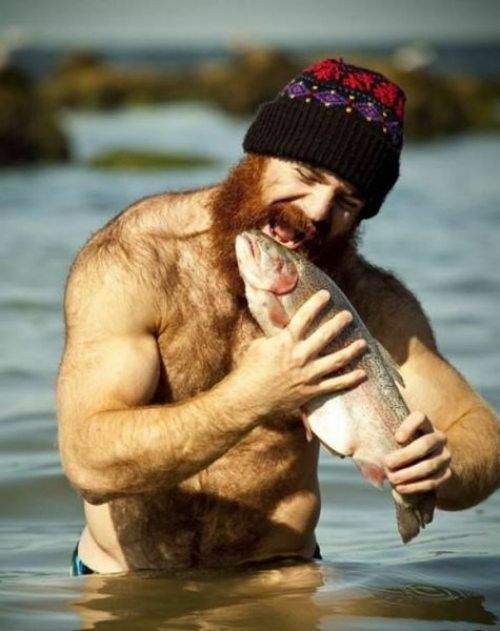 Eat like a man while forging the body of a warrior. Eat for your bodyweight or the bodyweight you WANT (I explain how to do this, worry not). Know EXACTLY what you need to buy next time you head to the grocery store. I needed these Meal Plans to be at my best because I have a busy life, lots of work to get done, and I don't have the time nor the energy the wonder what I should be eating or calculating what's best for me to consume. The Man Diet Meal Plans take the guesswork completely out of your day. They allow you to follow a weekly routine that will help you reach your goals. You're FAR less likely to fall off the wagon when what you're eating is right in front of your face, hanging off your fridge. Shut Your Brain Off. Make Quick, Tasty Meals. Boost Testosterone. Become Awesome. Start Gaining and Losing and Boosting. Don't Fret Over What You Eat. See How it Fits Within the Plan. ...Or You Can Continue Eating Like a Lady. But Seriously. Take Action! I'll Chat With You Soon.